Linden is a lecturer in climate science and science communication at the School of Earth Science at the University of Melbourne. Her current research explores the role of global climate change in shifting weather patterns across Australia. She draws on historical weather records to improve our understanding of past, present and future climate, and uses citizen science to engage communities with their environment. 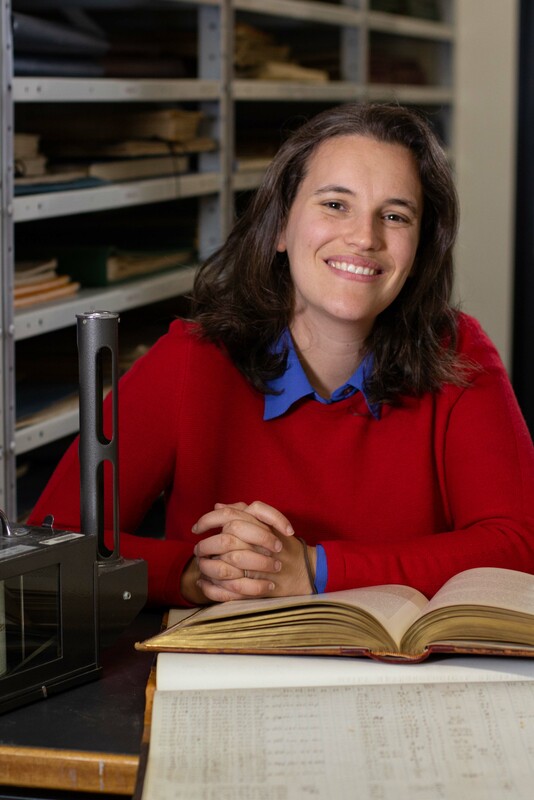 Her career highlights so far include going behind the scenes at the British Science Museum, working with a farmer in Armidale to rescue his grandfather’s weather diaries, presenting videos for the Bureau of Meteorology, and being part of the winning team for the 2014 Eureka Prize for Interdisciplinary Research. After completing her PhD at the University of Melbourne in early 2014, Linden managed ClimateWatch, a national citizen science phenology program with Earthwatch Australia. International adventure then called, and she headed north to work as a Senior Researcher at the Centre for Climate Change at Universitat Rovira i Virgili in southern Catalonia. When she returned to Australia, Linden joined the Bureau of Meteorology as a climatologist. There she learnt about the importance of combining climate science and communication skills, making her very excited to take on a joint lecturing position at the University of Melbourne in 2019. Linden is also a qualified science communicator, and shares her passion for climate science as a regular on the weekly science show on Melbourne's 3RRR radio. Not satisfied with just talking about science, Linden is also the current co-Editor in Chief of the Bulletin of the Australian Meteorological and Oceanographic Society, and the Editor in Chief of the Royal Meteorological Society’s Geoscience Data Journal.